A Lion Air plane heading to Depati Amir Airport in Pangkalpinang, Bangka Belitung Islands, from Jakarta crashed into the Java Sea on Monday morning. Flight JT610 was carrying 189 people, comprising 181 passengers, two pilots and six crew members. The air traffic controllers lost contact with the plane at 6:33 a.m., shortly after it took off at 6:20 a.m. from the Soekarno-Hatta International Airport in Tangerang, Banten. 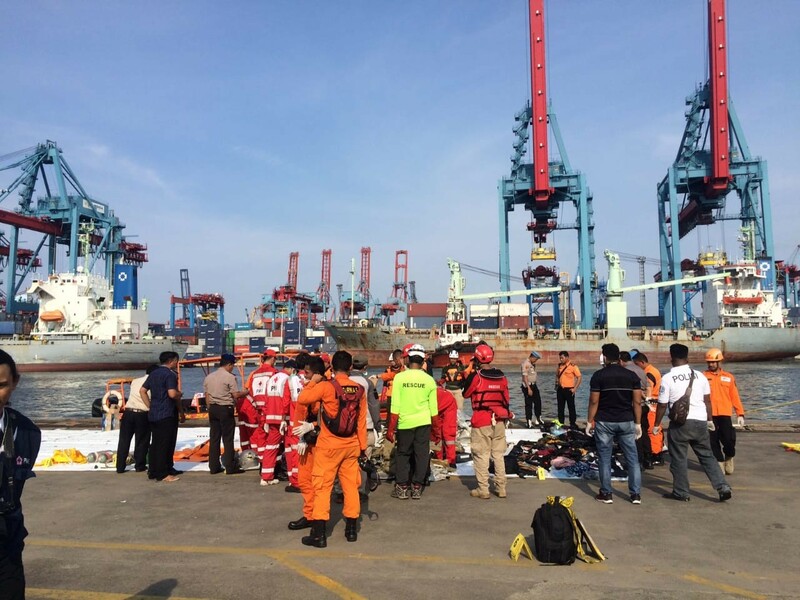 A vessel traffic service officer in Tanjung Priok, North Jakarta, Suyadi, told The Jakarta Post that at 6:45 a.m., he received a report from tugboat AS Jaya II that its crew had seen a plane — suspected to be a Lion Air aircraft — go down in Tanjung Bungin in Karawang, West Java. A video that has gone viral on social media shows the site where the plane is suspected to have gone down. Debris is seen floating on the surface of the water as five tugboats help scour the area. The authenticity of the video has been confirmed by state-owned energy holding company Pertamina, which operates an oil rig near the site, located north of Bekasi, West Java. Authorities later announced that the plane had crashed into the sea 7 nautical miles (12.96 kilometers) north off the coast of Tanjung Bungin. "We are certain that the plane crashed into the sea and is submerged at a depth of 30 to 35 meters," National Search and Rescue Agency (Basarnas) head M. Syaugi told a press conference on Monday. Flightradar24, a Swedish internet-based service that shows real-time commercial aircraft flight information on a map, tweeted on Monday morning at Jakarta time that the plane was "brand new" and Lion Air received it only in August this year. Lion Air was founded by businessman-turned-politician Rusdi Kirana, who is now the Indonesian Ambassador to Malaysia. In 2015, President Joko “Jokowi” Widodo appointed him as a member of the Presidential Advisory Board. National Transportation Safety Commission (KNKT) head Soerjanto Tjahjono said the Boeing 737 Max 8 aircraft commenced operations under Lion Air in August and had 800 flight hours, which was considered normal. Soerjanto added that a Basarnas team was searching for the plane’s black box to determine the cause of the crash. Lion Air chief executive officer Edward Sirait told reporters that the same aircraft had experienced a “technical issue” the night before. "This plane previously flew from Denpasar to Cengkareng [Soekarno-Hatta airport]. 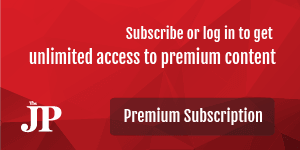 There was a report of a technical issue that had been resolved according to procedure," Edward said, declining to specify the nature of the technical issue. A senior AirNav official has confirmed that the ill-fated flight requested to return to base only two to three minutes after takeoff from Soekarno Hatta International Airport. “We received the request from the pilot to return to base. The air traffic controller gave permission to return, and there is a recording of it,” said AirNav president director Novie Riyanto in a press conference at Soekarno-Hatta International Airport in Tangerang, Banten. However, he went on to say that he could not explain why the pilot requested to return to base. United States-based aircraft producer Boeing Co. has offered its assistance in the investigation. The aircraft used for the flight was a Boeing 737 Max 8 aircraft. Syaugi said 130 Basarnas personnel had been deployed from Jakarta and several other areas, including Bandung and Cirebon in West Java. Thirty Basarnas Special Group (BSG) personnel have also been deployed to where the plane’s debris was found. The deputy of the Basarnas operation, Nugroho Budi Wiryanto, said that as of 12.30 p.m., his team had yet to discover any bodies from the crash. Images released later, however, showed SAR personnel moving black body bags from the main search location. Basarnas later said it had deployed 150 personnel, while the Indonesian Military (TNI) and the National Police had deployed 150. The 300-man joint SAR team was also assisted by fishermen at sea, he added, and Basarnas would send more people to speed up the operation. SAR efforts have so far recovered various documents from the search site, including ID cards, passports and driver's licenses. The main body of the Boeing 737 Max 8 aircraft has yet to be located, but parts of the plane have been found, Nugroho said. Basarnas expanded the search area to 10 nautical miles from the place where the plane is thought to have gone down on Tuesday, from the previous 5 nautical miles on Monday. The agency has also called on fishermen who find anything related to the plane’s crash to report their findings to a post set up in Tanjung Karawang, West Java. A team from Singapore arrived on Monday evening. The team from Singapore consists of three personnel who will focus on helping to find the aircraft’s flight recorder, or black box. They will be equipped with a hydrophone that can help detect the sound of an Underwater Locator Beacon (ULB) that is attached to the black box. KNKT flight accident investigator Ony S. Wibowo said Argentina, Malaysia and Saudi Arabia, had also offered their help in search and investigation. The Navy has detected a 20-meter-long object suspected to be part of the plane, a search officer said Wednesday. However, Basarnas confirmed on Wednesday evening that the object turned out to be a shipwreck. After hours of searching for crew members and passengers of the flight, which went missing en route from Jakarta to Pangkalpinang in Bangka Belitung Islands, authorities have so far retrieved body parts in nine body bags, according to Basarnas operation director Bambang Suryo Aji. The remains were taken to the Bhayangkara National Police Hospital in Kramat Jati, East Jakarta. "My prediction is that no one is alive," Bambang told a press conference on Monday. On Tuesday, National Police deputy chief Comr. Gen. Ari Dono Sukamto said that at least 15 forensic doctors and DNA experts were working to identify the body parts that the National Search and Rescue Agency (Basarnas) had recovered from the Java Sea. “Joint personnel have so far collected 24 body bags, [some] containing parts of the victims' bodies – not intact bodies,” Ari said. According to Basarnas, the 10 body bags contained body parts, and that the remaining 14 bags contained debris from the plane and personal items presumed to belong to the crash victims. State-owned insurance company Jasa Raharja has assured that all passengers aboard Lion Air flight JT610 or their next of kin would be compensated in accordance with prevailing laws and a 2017 Finance Ministry regulation. 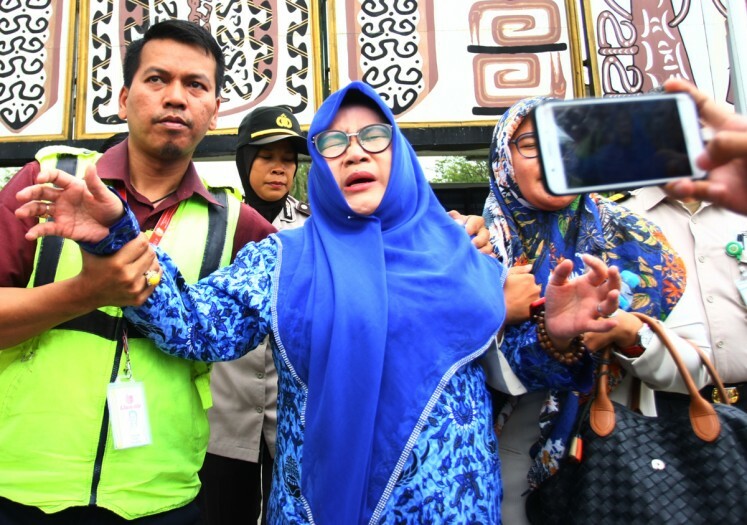 "Jasa Raharja is ready to provide Rp 50 million [US$3,284] in compensation for those who died in the incident and cover up to Rp 25 million in hospital costs for injured victims," Budi Rahardjo, the company's director, said in a statement. Lion Air operational director Daniel Putut said during his visit to Kramatjati Police Hospital in East Jakarta that Lion Air had collected the data of 209 relatives of the victims and he promised to continue to provide them with up-to-date information. Transportation Minister Budi Karya Sumadi said at the same press conference that Lion Air had provided "friendly and good assistance" to the families of the plane crash victims. The company has also cooperated with the National Police to provide psychological support, he said. He visited the hospital to check the progress of victim identification carried by police forensics and DNA experts. Earlier in a statement, Lion Air said it had provided flights to Jakarta for hundreds of family members of crew and passengers of flight JT610, which crashed into the Java Sea on Monday morning. The family members comprise 168 people from Pangkalpinang in Bangka Belitung Islands, three from Medan in North Sumatra, two from Padang in West Sumatra, four from Yogyakarta, two from Madiun in East Java and four others from Demak in Central Java. Following the incident, Lion Air has set up a crisis center at Halim Perdanakusuma Airport in East Jakarta where relatives and loved ones of the victims on board the flight can receive information. Lion, a budget airline, which has significantly expanded its operation in recent years, has been involved in a number of incidents in the past decade. Last year one of its Boeing jets collided with a Wings Air plane as it landed at Kualanamu airport in North Sumatra, although no one was injured. In May 2016, two Lion Air planes collided at Soekarno-Hatta airport, while a month earlier an aircraft operated by Batik Air — part of the Lion Group — clipped a TransNusa plane. In 2013, all 108 passengers and crew survived when a Lion Air plane missed the runway at Ngurah Rai International Airport in Bali, landed in the sea and split in two.